The Air District passed its wood-burning regulation to limit harmful emissions of PM from wood smoke. Beginning in 2016, residents whose sole source of heat is a wood-burning device must use an EPA-certified or pellet-fueled device that is registered with the Air District to quality for an exemption from the burn ban. 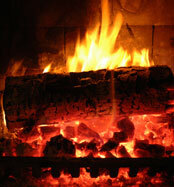 An open hearth fireplace or non-EPA-certified stove no longer qualifies for an exemption.